Yesterday, one of our designers here at Lenkin Design lamented that she needed to find a creative solution for a holiday ornament exchange party (we all know design professionals would rather not go to a party rather than show up with a boring, unimaginative gift). Luckily, Steven Carmona of the Tommy Farmer Floral Studios in Pasadena happened to be visiting, and he quickly put together this ingenious ornament which will look lovely all year long. Steven found the birdcage in our planting shed, where Heather keeps a trove of peculiar objects that she thinks might be interesting to plant someday. Succulents were the obvious choice to fill it since they are low maintenance (they only need to be watered once a month), will last throughout the season, and have textures very different from the usual holiday decorations. To create a natural bed the succulents could thrive in, he used Mood Moss, which is a tight, thick moss that grows in mounds and has a soft look and feel to it. We just so happened to have Mood Moss lying around from a previous project, but if you don’t, you can use other types of live moss such as Spanish Moss or Rock Cap Moss, which can be found atop boulders in the wild. You can even use faux moss available at your local craft store. 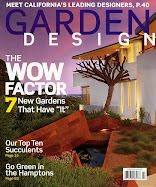 Steven then chose succulents from our handy-dandy succulent roof garden. 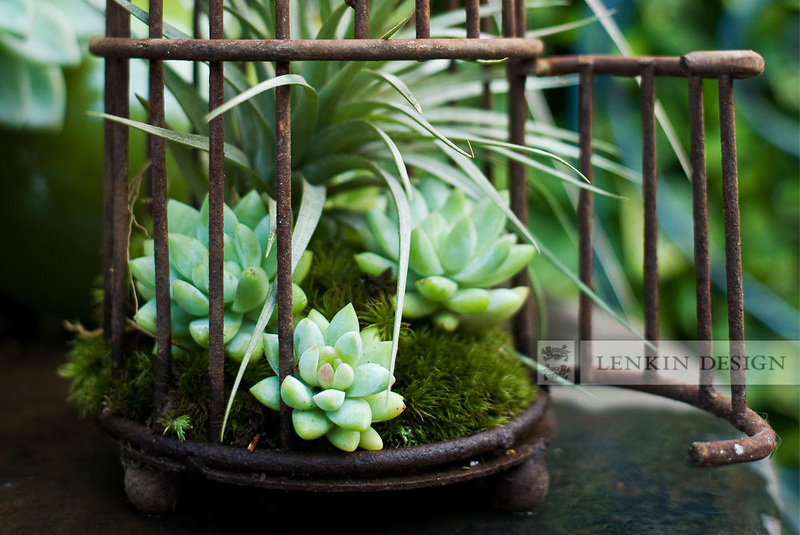 He pinched the tops off sedum morganianum but left enough stem to poke them through the moss, and arranged them in the birdcage with the smallest in front. A tillandsia air plant was perfect in the back for its texture and unique form. Air plants on their own also make interesting ornaments and are easy to maintain after the holidays are over. 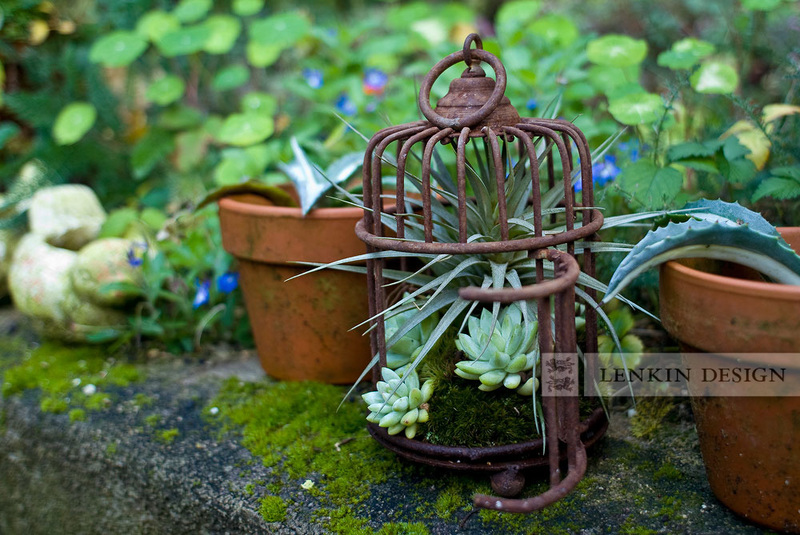 Air Plants originated in the rain forest so they need to be soaked about once a month and that’s it! They bloom once a year lasting from several days to many months but only if there is enough water and sunlight. If you would like some color for your ornament, echeverias range from dark green to bright red/yellow. Some succulent hybrids such as the Sedeveria 'Letizia' will have six different colors in one plant. After your living ornament highlights your holiday tree, you can brighten up your garden with a new decoration. Also, you may be the talk of the holiday ornament exchange party. Can I copy this? I have just the perfect little metal bird cage that would be perfect! Thanks for the idea. I own a small family garden center and have an ornament exchange at Christmas.....I'm going searching in our "collection of things to be planted" to see what I can find, what a great idea!!! We are featuring succulents this year, so I can see your idea with many variations!!! Love it! 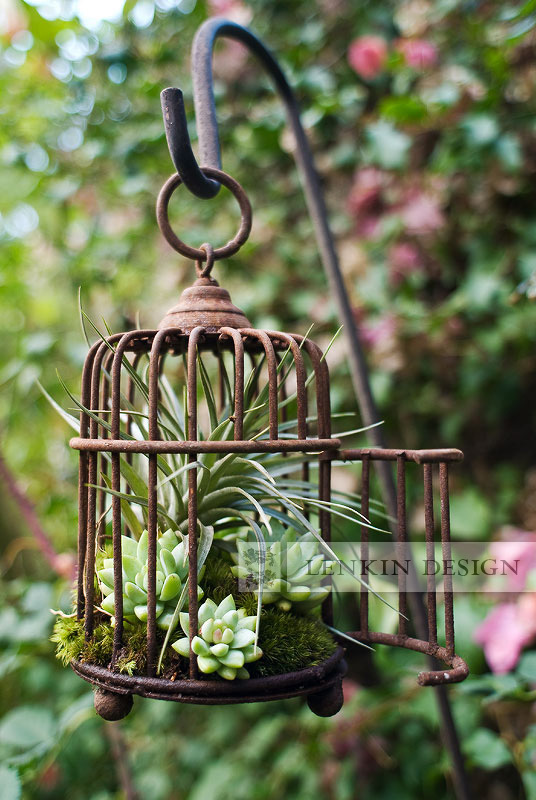 I'm back again - just wanted to let you know that I was so inspired I planted my little rustic birdcage in the same way as your bigger one - so sweet, and so much fun! ...wish I had been on the receiving end of that exchange! !